We specialize in property management and real estate; our reputation is flawless. Welcome To Mountain Top Services, Inc.
Mountain Top Services, Inc. has been proudly serving Hartford, CT with our expertise for years, and we are just getting started! 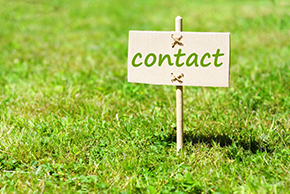 Whether you are looking to inquire about residential real estate or commercial real estate, we are the company to contact! Our property managers are experts in real estate for sale, and we have a specific knowledge of the hottest homes for sale in the area, as soon as they spring up. Of course, we are known for our renowned telecommunications property management. Telecommunications real estate in Hartford, CT is a specific industry, and we have mastered the competition because a property manager from Mountain Top Services, Inc. stays ahead of the curve in the world of telecommunications. The finest compliment we could receive is a referral from client, customers, friends, and associates, and our reputation has definitely grown as a result of consistent referrals. We aim to satisfy our customers to the highest degree, and we are often rewarded when they, in turn, spread the word about our stellar customer service. At Mountain Top Services, Inc., we turn non-performing assets into performing assets. Don’t make the mistake of hiring a less reputable or less professional real estate company to handle your next purchase or sale. When it comes to real estate, large investments are often at stake, and that is why it is so important to have the most knowledgeable professionals giving you advice! If you are buying or selling real estate in the Hartford, CT area, you’ve got to get in touch with Mountain Top Services, Inc. now!